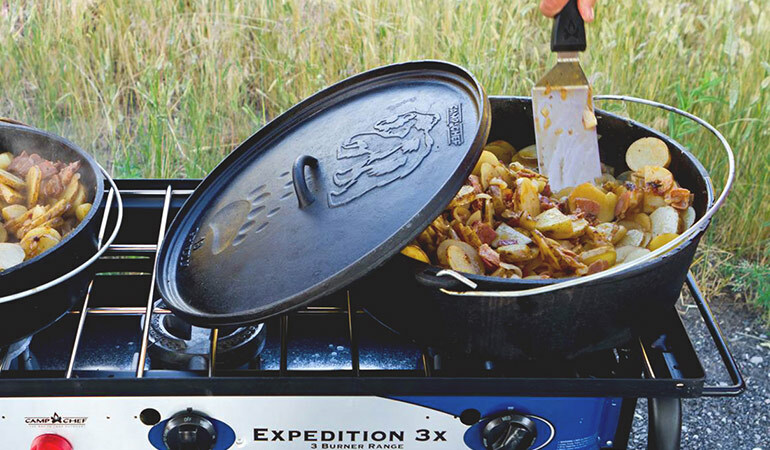 Just because you're camping doesn't mean you shouldn't be eating a 5-star meal ... try one of these dinner recipes made simple for the outdoors! Hamburgers and hot dogs are always fun to make over the fire, but sometimes you have to switch it up. These recipes are different, and possibly even tastier, than the classic camping dinner meals. 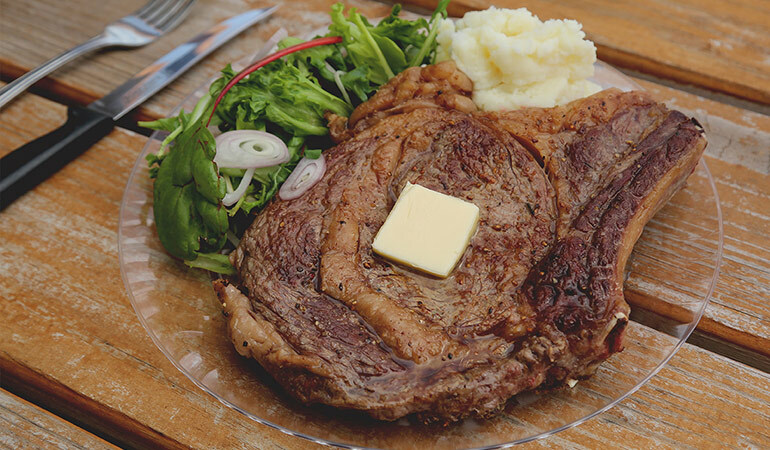 Bring along a bottle of steak sauce and red wine to make this steak dinner the best it can be. 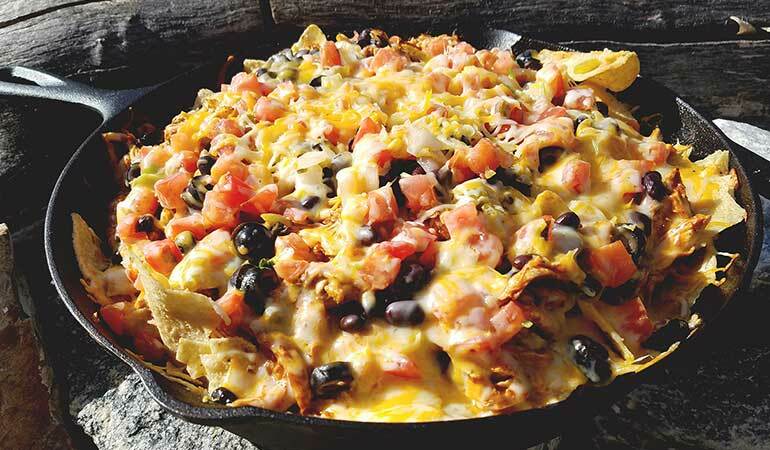 These Campfire Chicken Nachos are an awesome shareable when camping with a crew. 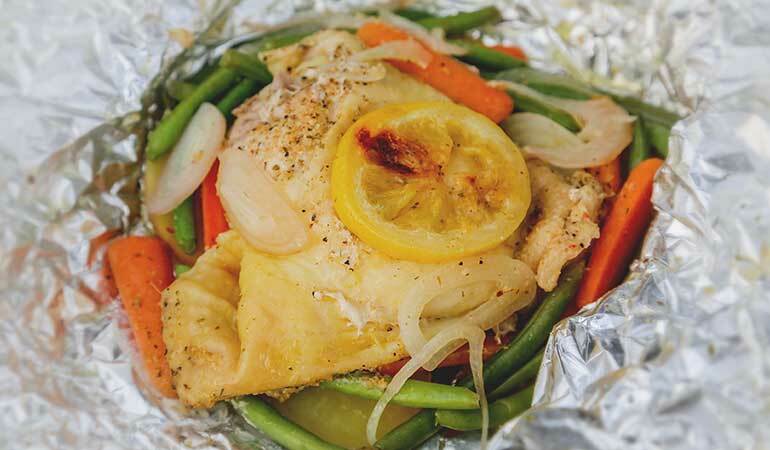 This lemon chicken dinner cooks inside aluminum foil, so you can enjoy your meal without having to worry about the cleanup. This Dutch Oven Potatoes Recipe makes great leftovers for the next morning when served with some scrambled eggs. Check here for more easy and delicious Go RVing dinner recipe ideas.